I’d bookmarked this recipe from The Kitchn for a while and the other night when I was craving something Asian for dinner I decided to try it. Apparently it’s Burmese in origin but it has all the hallmarks of Thai cuisine and is eaten widely in Northern Thailand. 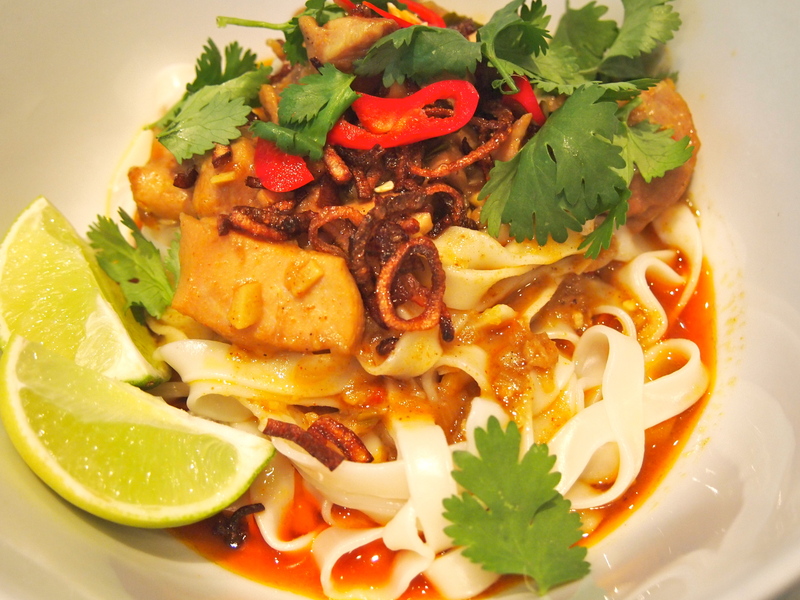 Khao Soi is normally served quite soupy but this version is thicker and I think more satisfying. The combination of noodles and chicken curry are addictive, the flavours are spot on and so delicious. 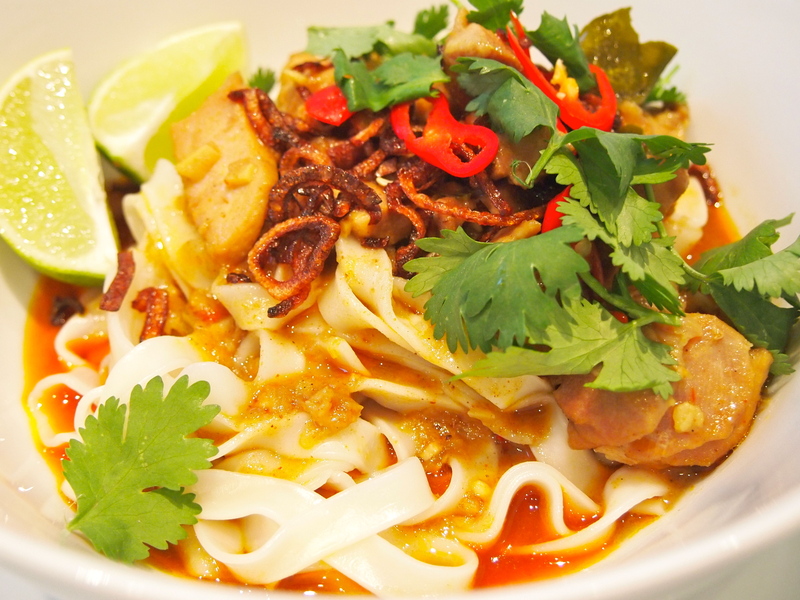 Imagine a thick laksa, but even better. 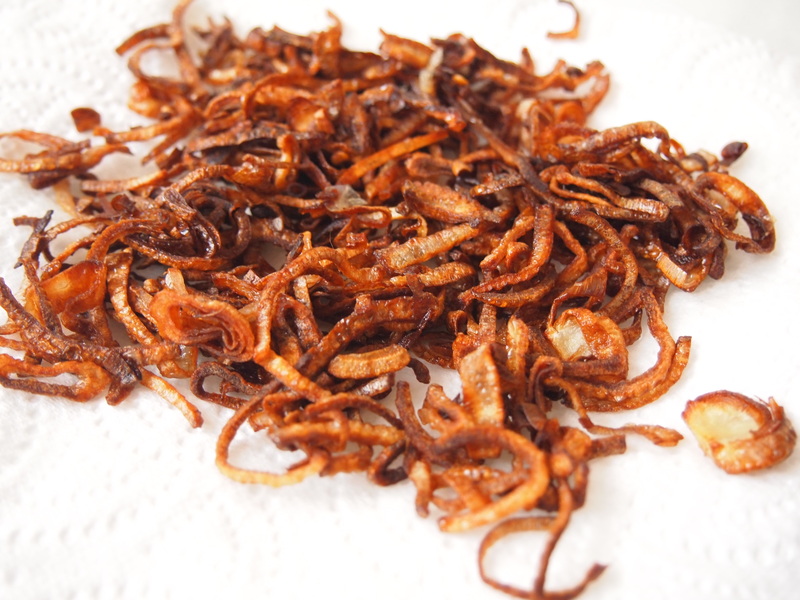 I adapted the original recipe slightly as I always think that curries, be they Thai or Indian, benefit greatly form having the spices and pastes fried for a nice amount of time so the flavours have a chance to develop. I’m also not a fan of adding the meat in curries with the liquid element as I find the meat can veer towards having a “boiled” quality to it. I prefer to add the meat to the spices/paste and let the meat, in the case chicken, cook a little before adding any liquid. If you can, try to find wide Chinese egg noodles but if you don’t have a Chinese grocer nearby I think egg fettucini would also work. Serve in large bowls with trimmings of deep fried shallots, red chillies, coriander and lime cheeks. Heat the oil in a medium saucepan over medium heat. 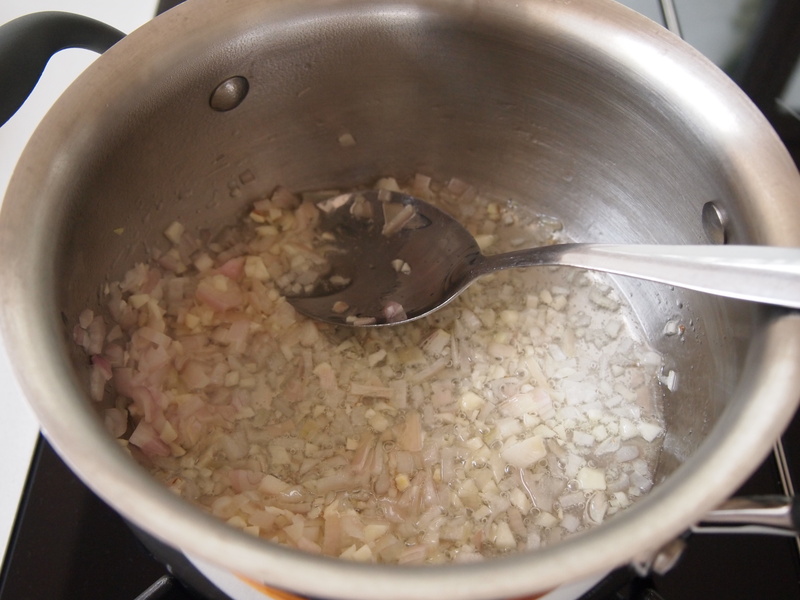 Add the garlic and shallots and cook for a few minutes until softened. Add a few tablespoons of the coconut milk, the curry paste and curry powder and cook for about 5 minutes, stirring constantly, being careful not to burn the spices. Add the chicken thighs and stir to coat in the spices and cook until the chicken has changed colour. Add the rest of the coconut milk, the chicken stock, fish sauce, palm sugar, lime juice and lime leaves. 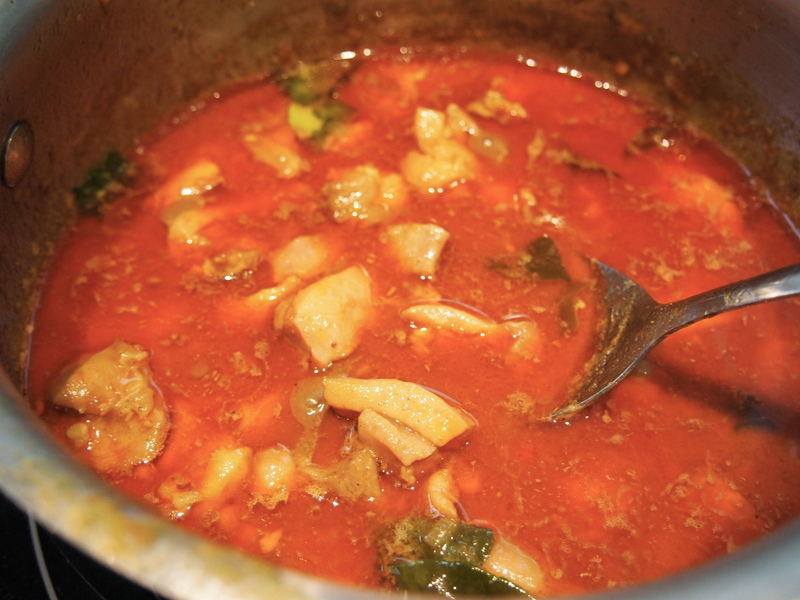 Stir everything together, scraping up any curry paste that has stuck to the bottom of the pan. Bring to a boil, then lower heat and simmer uncovered for about 40 minutes. 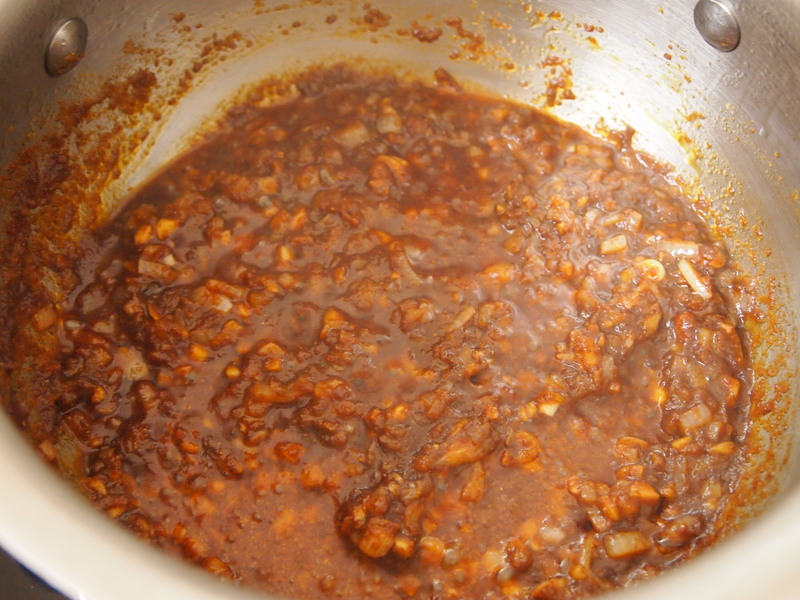 Taste and adjust seasoning by adding more fish sauce, lime juice or palm sugar to get a good balance of flavours. Meanwhile, bring a large pot of salted water to a boil. Cook noodles according to package directions, timing it so that the noodles will be cooked when the curry is done simmering. Drain and divide between two bowls. Top with curry and the garnishes. Serve immediately.